The Wolf had vowed revenge against Clan Kincaid and is bringing a small army to lay siege to the castles held by the clan. Derryth MacLaren is sent from the castle she is staying in to avoid capture, but is unfortunately found by the very army they were hoping to bypass. Cull the Nameless is in charge of the army and claims her as his prize in order to keep her safe from lecherous warriors intent on assaulting her. That puts them in close proximity so that they get to know each other, and Derryth learns secrets that others would prefer stay hidden. 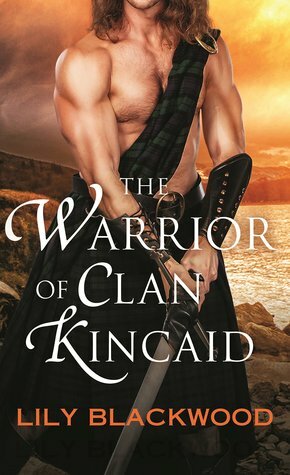 The official summary of the book stresses one of the secrets that isn't even revealed until three-quarters of the way through the book: Cull is actually Cullen Braewick, the youngest of the three sons of the slain laird. I don't feel bad about giving away that twist in the plot because of that! We spend most of the book in the clash of wills between Derryth and Cull and seeing what an invading army for the time period is like. Of course, we know that the two will have an instant attraction that grows into love, and that conflict will separate them. There are several layers of conflict and misunderstandings that serve to separate the two of them, and it really is no fault of theirs. Cull is unaware of the Wolf's motives in pushing him to lead, and there is a lot of jockeying for power around him. Overall, this is a solid historical romance with a happily ever after that gives everyone in the book what they deserve.